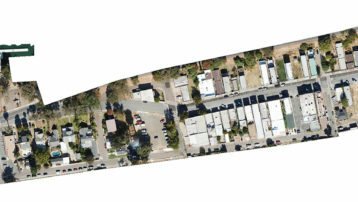 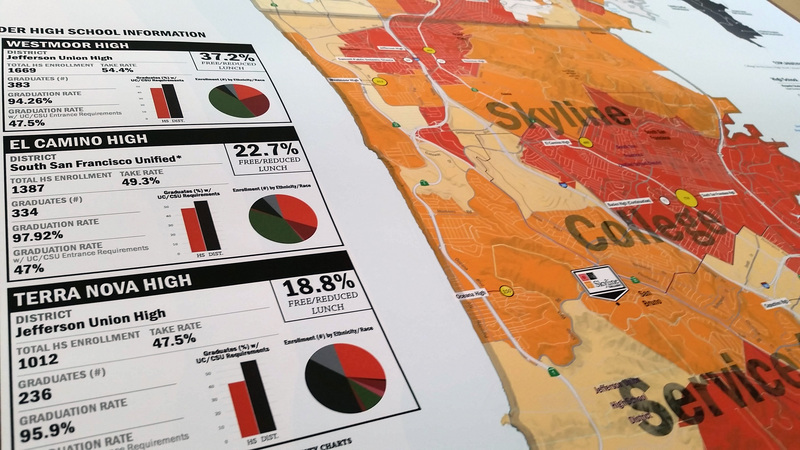 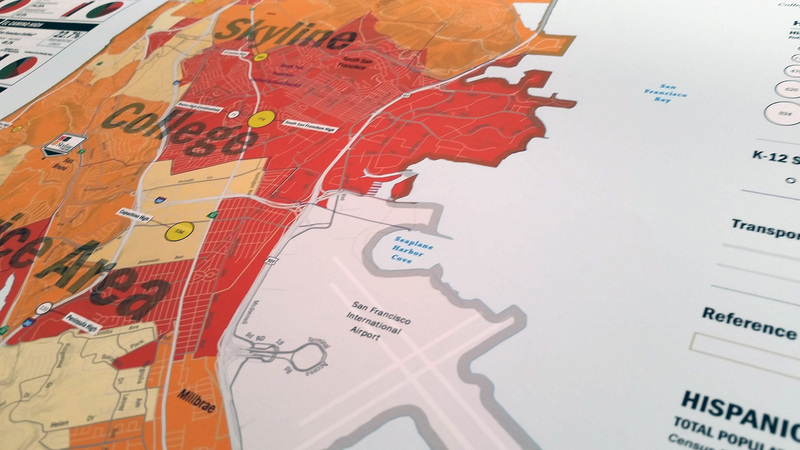 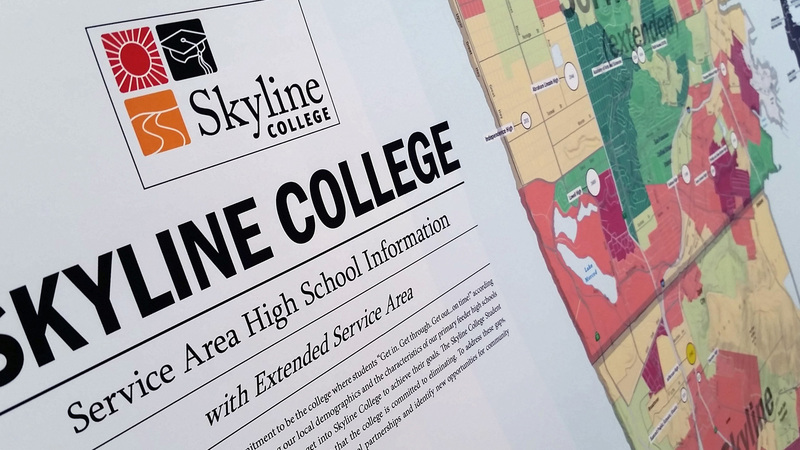 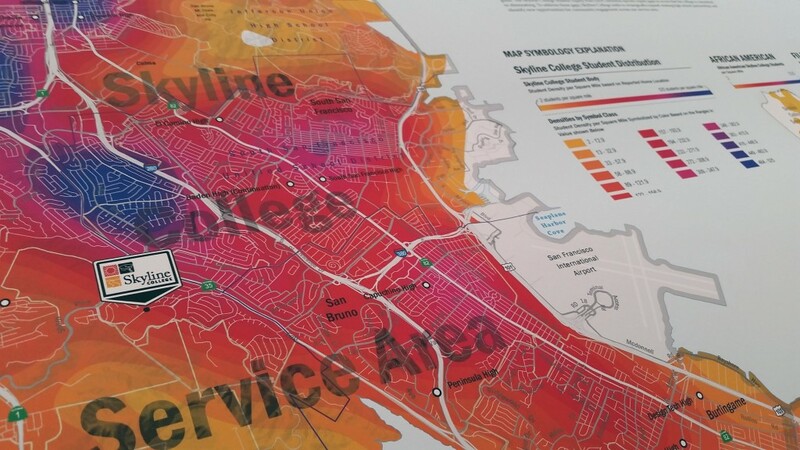 We just completed a cartography and GIS project for Skyline College’s Office of Planning, Research and Institutionsal Effectiveness (PRIE). 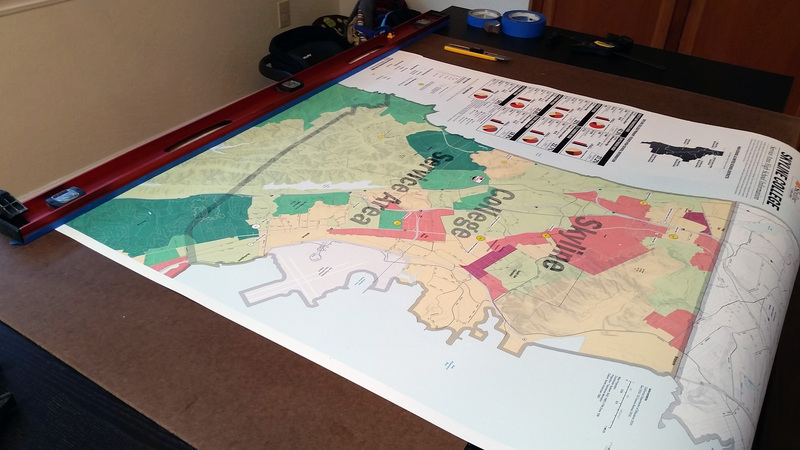 These handsome maps are each 35″ x 40″ and printed in house with our awesome HP t920 on heavy coated paper. 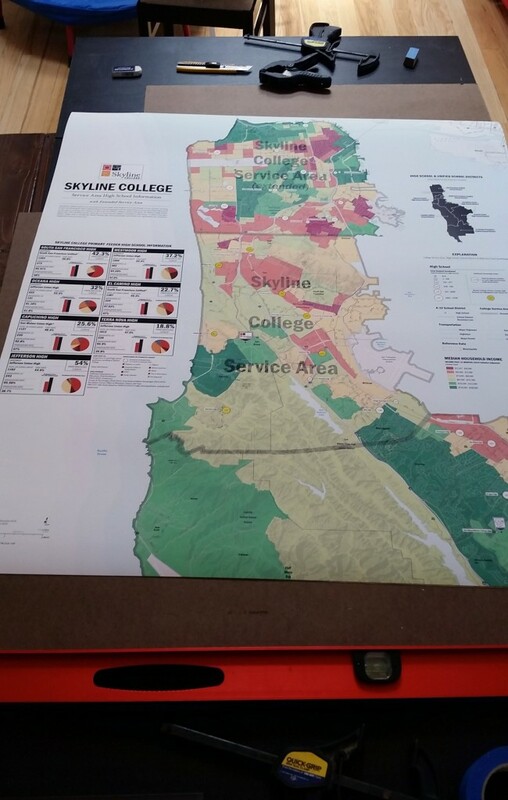 The maps include an overview of current student location densities based on reported residences. 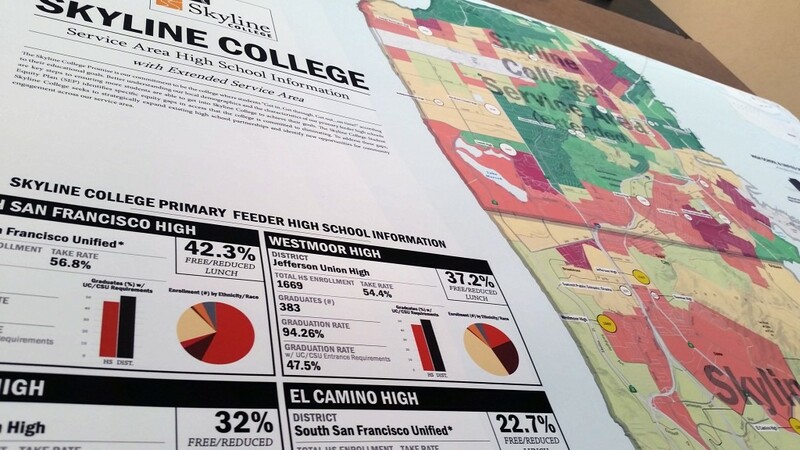 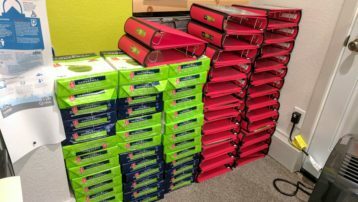 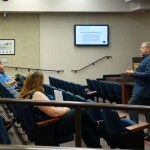 All maps reflect student equity-based information in an effort for the PRIE to illustrate the student body to the Skyline College Board. 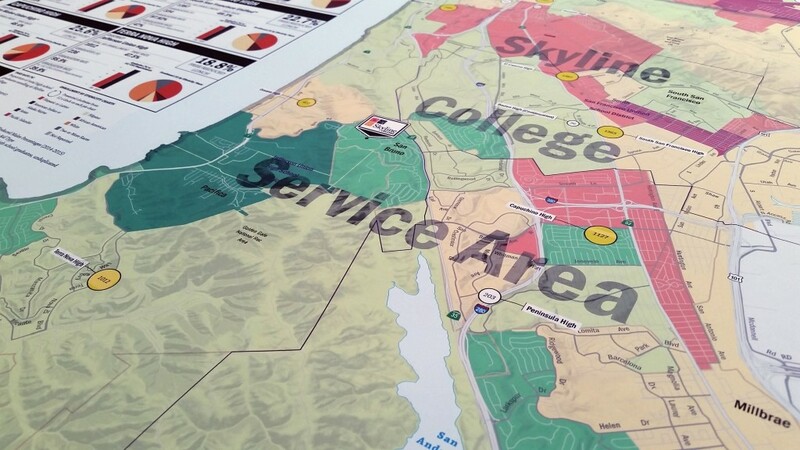 We did print production in-house on these poster maps.